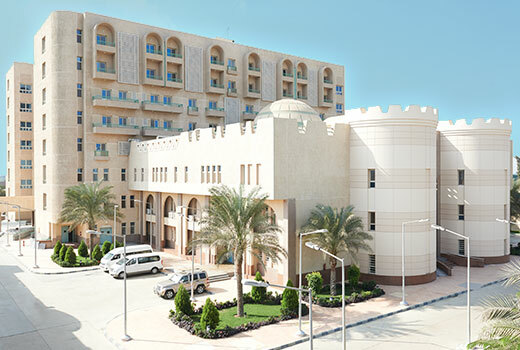 Emergency Department at ElAraby Hospital is considered as first class services build upon the international standards and latest medical guidelines, Physicians and nurses who are on a high degree of specialization and acceleration in performance and experience in quick dealing with critical situations 24 hours per day and provide immediate care for all serious diseases (surgical, Internal Medicine, pediatrics, obstetrics, gynecology and bones, etc.). quick service giving to the patient and as well easy access to Operation Theater. 2- Application priorities of the system and the cases classified as priority. 3- The application of global emergency code system that facilitates rapid communication with all hospital staff during an emergency. 4- ER personnel are qualified doctors and specialists who are highly trained periodically to be on the high degree of specialization and acceleration performance and experience in dealing with the rapid critical situations, emergency services, life-saving. 5- All emergency personnel certified and are subject to regular training programs and continuous education. 6- Ambulance is the intensive care unit Mobile to provide life-saving services to the patient at the scene to arrival at the hospital and even make transmission of the vital signs of the patient to the ER in the hospital to be ready according to the case and for proper case management.